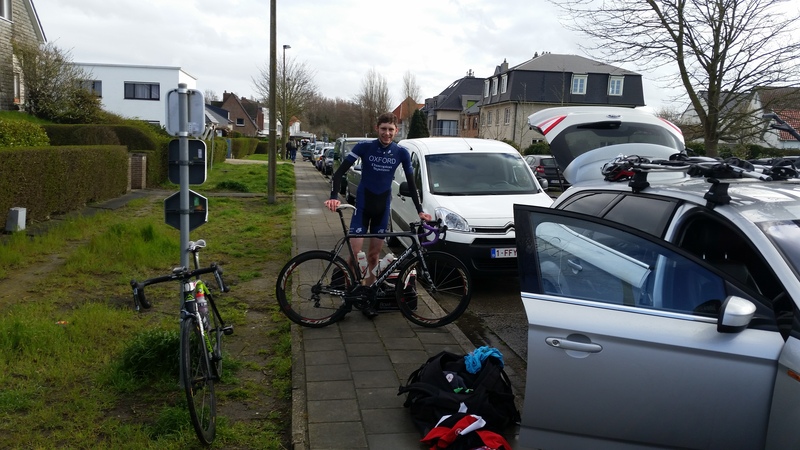 While the professional cyclists were off in Northern France battling across the cobblestones, we had a terrific weekend for the club. The season for us is now well and truly underway, with lots of our riders taking the opportunity to get out and put some good results on the board. 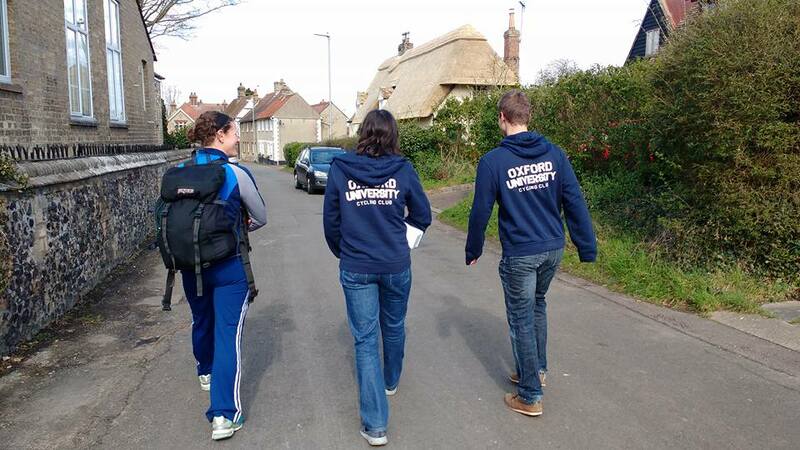 The biggest story of the weekend was the BUCS 10 mile Time Trial championships hosted by Cambridge on Saturday. 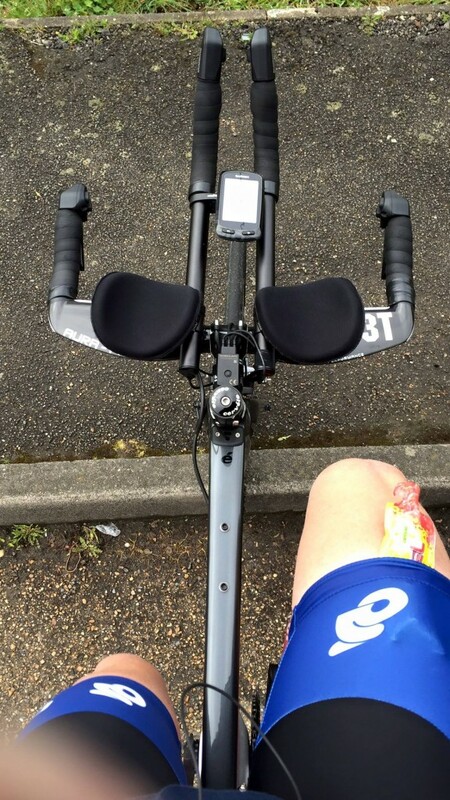 Tamara Davenne had been 4th last year on a road bike so was keen to see what her shiny new TT bike would do. Daniel Alanine and Bryn Davies had been setting some scorching PRs in the last few weeks so were also keen to see how they measured up. On the day after a quick recon of the course, and the usual pre-race panic as that last damn overshoe just couldnâ€™t be found, they all headed off to set some very respectable times. Tamara Davenne came in fourth again this year, missing the podium by a single second! 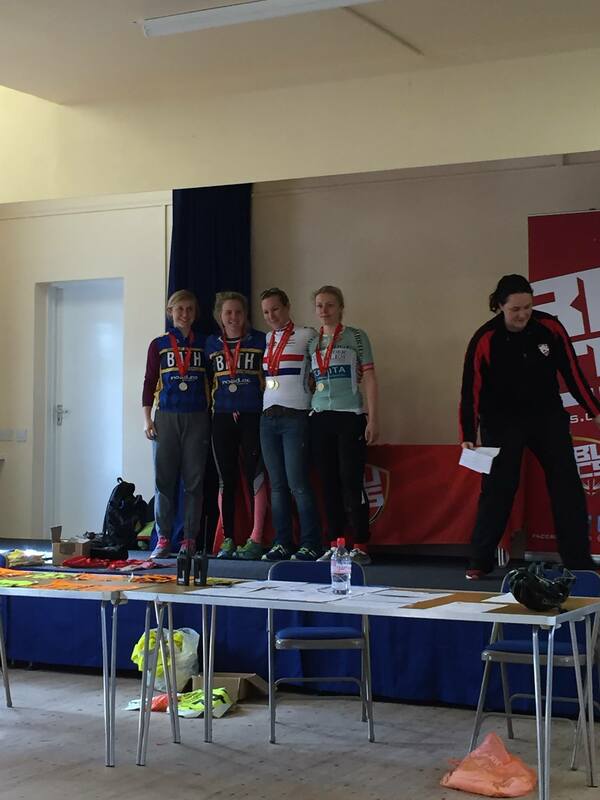 Olivia Withers and Sonja Noll rounded out our womenâ€™s team but despite their strong rides we didnâ€™t quite make the cut for the teams prize. On the Menâ€™s side, Bryn Davies and James Lambton did solid times to reach the top half of the field, but the best OUCC rider on the day was Daniel Alanine who put on a classic sufferfest ride to come in with a time of 21.30, enough for 12th place! Great effort by all the riders who got an entry, and things are looking good for the next few BUCS Time Trials in the next few weeks. Around the corner from the BUCS course, Lea Valley Cycling Club was hosting a 25m TT on the E2/25 course, which with a course record of 46.something was going to be a quick course. Angus Fisk hitched a ride with the BUCS riders to head over and compete, and proved it is a very fast ride by setting a new pb of 55.21. Outside of the BUCS world we had plenty of other riding going on too. At the Archer Crit at the Hillingdon Circuit in west London Isaac Mundy was stretching his legs with our resident Cat 1 racer Hamish Tomlinson jumping in to his first race of 2016, hoping to find some good form after a quiet winter. Things went well, Isaac took a lap out after being caught behind a crash and finished in the bunch. Hamish took a last lap flyer to show heâ€™s still got some good legs, but was caught to finish in the bunch as well. Earlier in the week, Angus Fisk went on a bit of an adventure to find out what all the hype is about Belgium Racing. He took part in the Bredene Kermesse in Flanders and had a bit of a rude introduction to Flandrian racing. Rain, wind, mud, cobblestones, and some very very fast riders meant he only lasted an hour before losing contact, better luck next time! 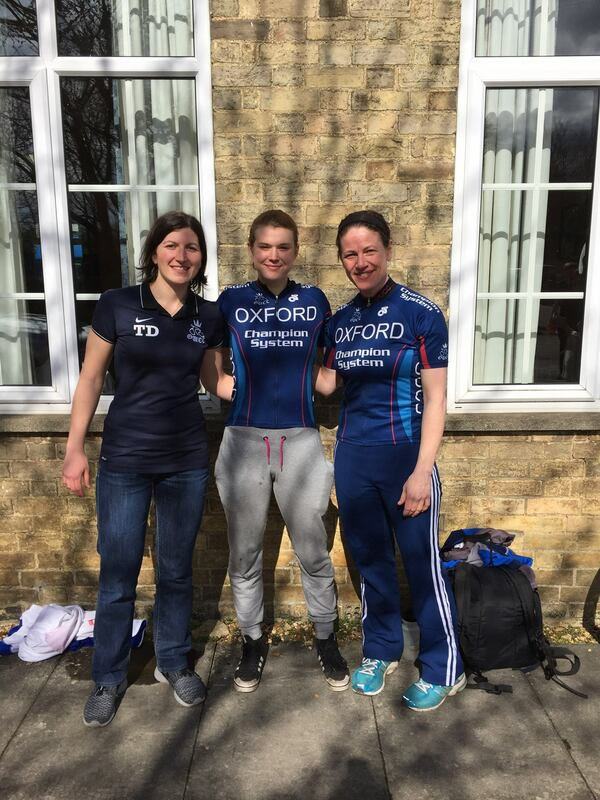 On Tuesday Daniel Alanine, Tamara Davenne, and Ondrej Zika all headed over to the Bicester Millenium Weston on the green 10mile TT. Dan set a blistering 21.40 pace to show heâ€™s ready for Sunday. Ondrej had a great ride in his first race as well, great place to start and plenty more to come! 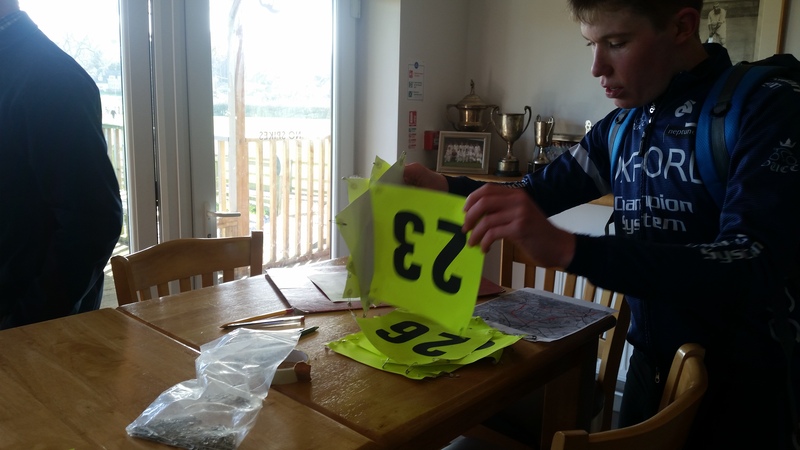 On Sunday Bryn Davies aimed to nice weekends racing with the CCA Primavera Road Race, a regional B event which he had a good chance at. Unfortunately a momentary lapse by a rider in the finale meant a crash at 6km to go prevented him from contesting the finish. 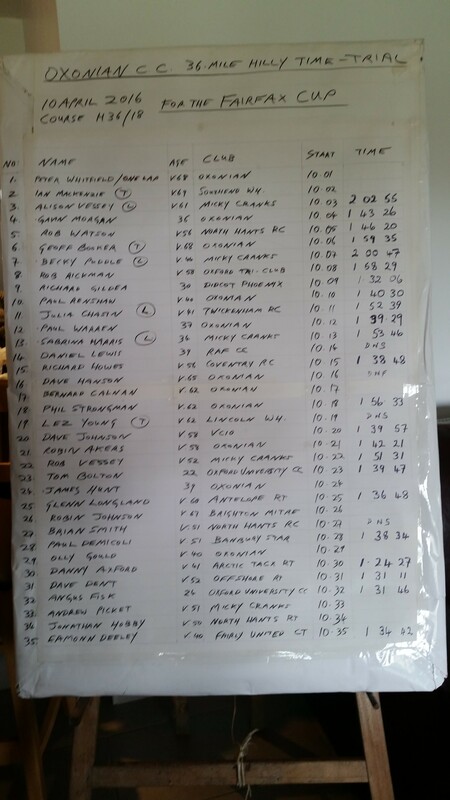 And finally, the last race to talk about over the weekend was the Oxonian Charlbury Hilly 36m Time Trial. The sun was out for it but a tough wind was promising for a hard finish and some nervous descending. 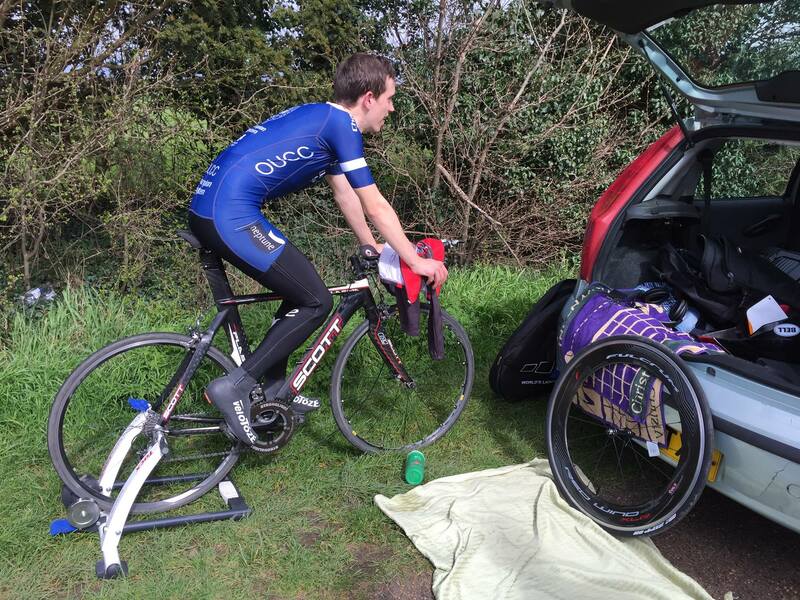 Tom Bolton and Angus Fisk headed up to Charlbury for the race, and made the most of the conditions. Tom Bolton coming in a great 10th place with a 1.39.47, and Angus Fisk rounding out the podium in 3rd with a 1.31.46. They were planning on catching the train home, but with no train for an hour and a half meant riding back to Oxford on some very sore legs, lots of swearing ensued! On the non-racing side of things, Joe Kang and Noah Evans Harding decided that riding on normal British Roads wasn’t hard enough, so took a quick hop over to France to tackle some of the famous Paris-Roubaix cobblestones. Not only did they have a go at riding them, but they actually rode the whole 257km route by themselves! Massive effort from the pair of them. Joe showing his prowess across the cobbles. Some well earned drinks and lying in front of the TV watching Paris Roubaix was the perfect recovery from a hard weekends riding for everyone. Well done to all the riders who had a crack, some big results to come for us from 2016 if things keep improving. Hope everyone got out and enjoyed the weather as well. Next week is BUCS Team Time Trial as the next big test so watch this space, our womenâ€™s team heads into it as the defending champions so weâ€™ve got a lot to do on Sunday!